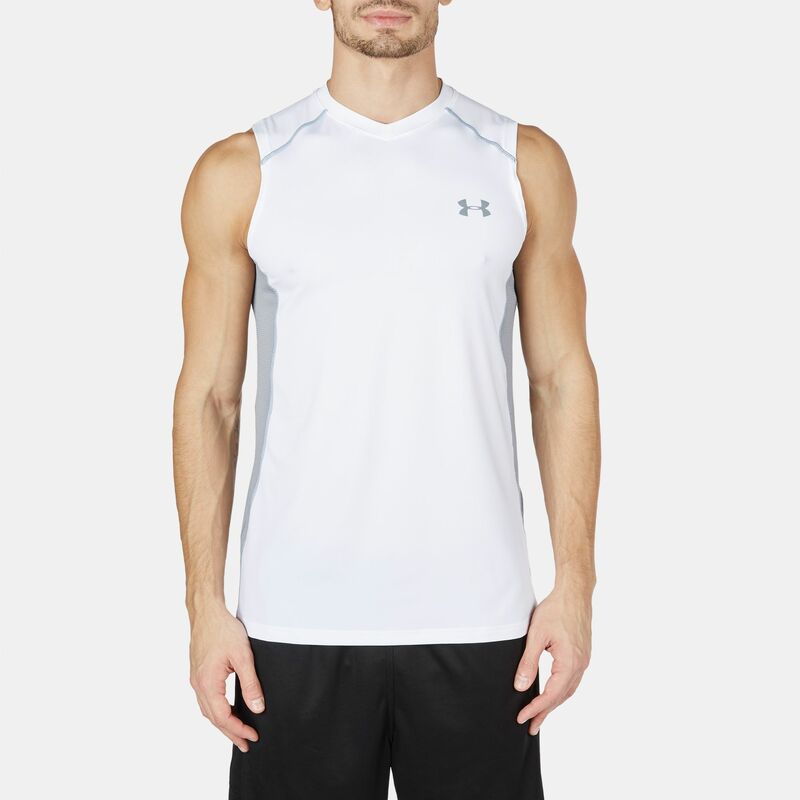 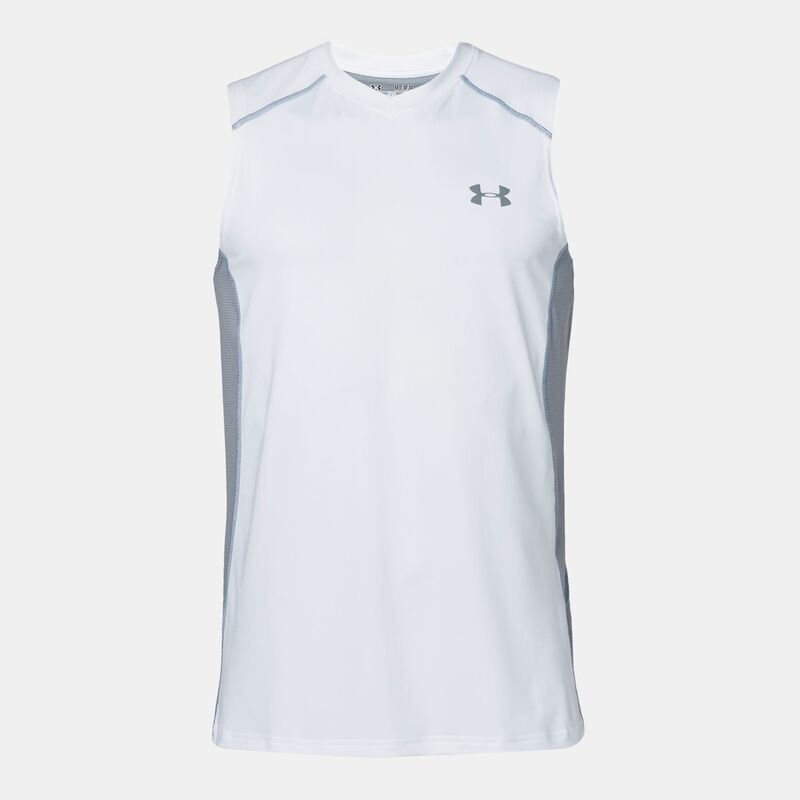 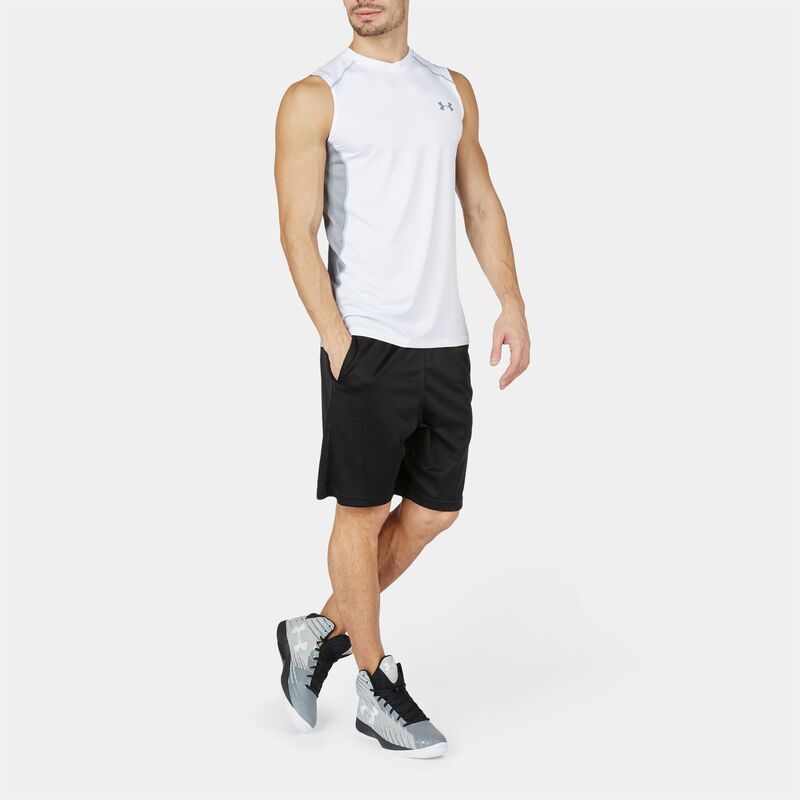 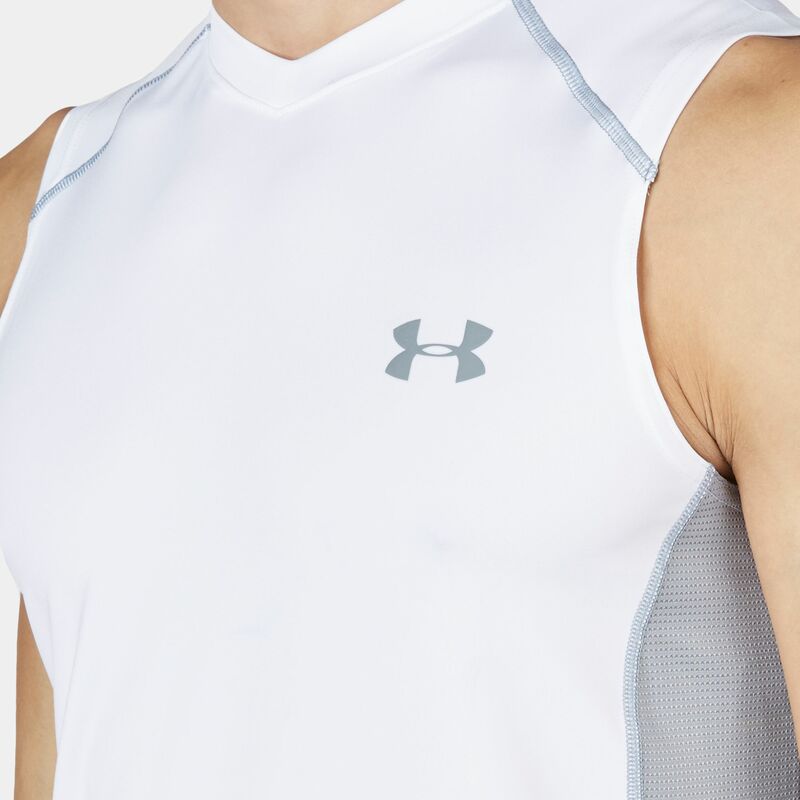 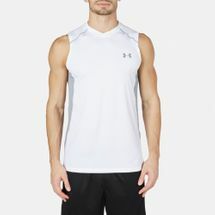 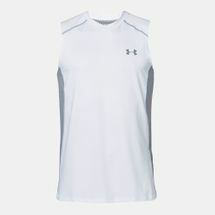 Well designed and extremely light, Raid Sleeveless T-Shirt for men by Under Armour is filled with features engineered to increase your comfort and performance during trainings or daily activities. Its HeatGear® based fabric factors in for an ultra-light smooth and soft comfort. 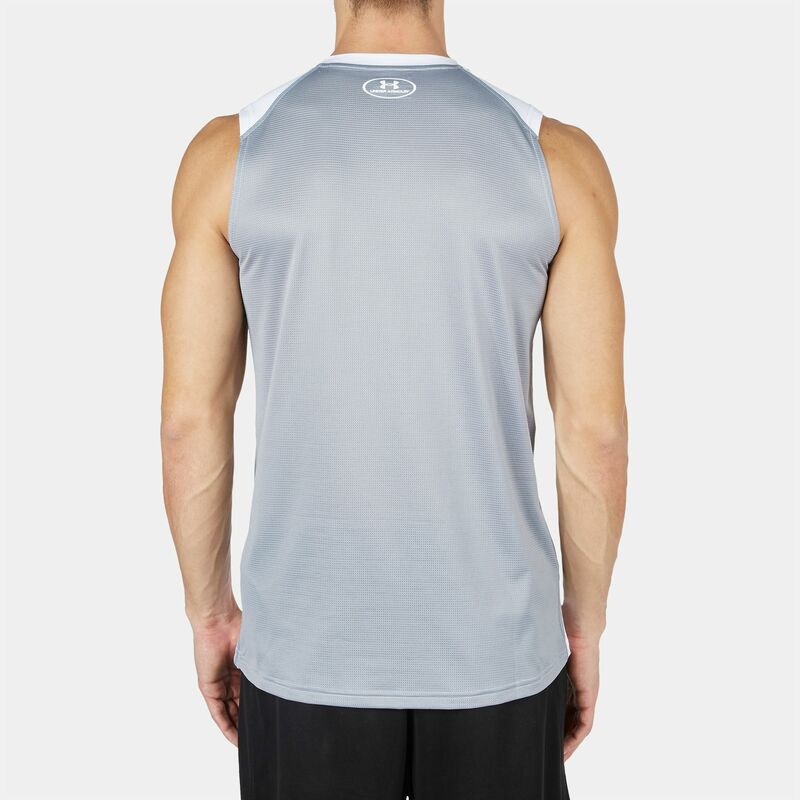 Its 4-way fabrication allows for freedom of movement and its integrated anti-odour and sweat-wicking technology will keep you dry and fresh all day.